This is a half-day or a full-day program which runs from 9:00 – 1:00 or 9:00 – 2:45 daily. The weekly fee per half day session is $260.00 and the full day session is $310. 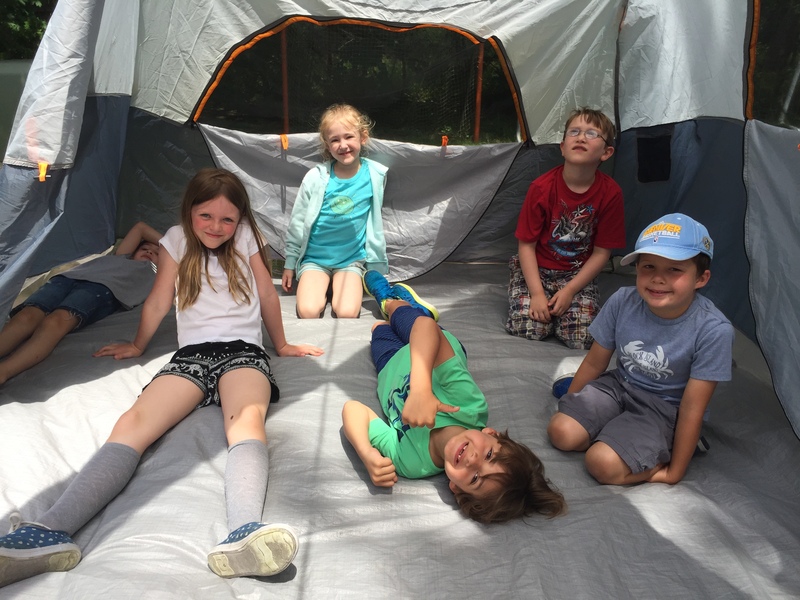 Our Junior Adventurers program provides fun and enriching programming based on weekly themes. Each session includes 30 minutes of swimming at our in-ground pool with a certified lifeguard. The program is designed and run by professional or student educators. Campers are invited to join one to seven weeks of camp. Jewelry Making: Campers will enjoy getting to know each other through games and activities as they learn different techniques to2 create finished pieces to take home! Mad Science: Put on your lab coats and get ready to experiment with all sorts of slimy, gooey stuff during icky sticky creation week! You will make slime, create explosions with soda, and create your own play-dough and more. American Girl/Favorite Doll: Adventures, friendship and fun are in store for you and your Americana girl! Bring your favorite Girl to camp where we will make accessories, have a Doll fashion show for you and your doll, tell stories and sing our way through the week! Calling All Artists: Have you ever wondered what it takes to be an artist? In this camp we will explore the styles and techniques of the world’s greatest artists. Once students learn about each of the artists, they will have the opportunity to create their very own piece of art inspired by that will be displayed gallery style for you family to see in an exhibit on the last day of camp. Wizarding World: We’re sending our imagination on vacation by spending the week honoring our good friend Harry Potter. Meet the magical sorting hat before venturing to the land of fiction where campers will enjoy dress up days, Hogwarts crafts, Quidditch and the Tate’s Triwizard dodgeball tournament. We’ll meet you at Platform 9 3/4 for an early departure. Don’t forget your wand and broom! Summer Camp Detectives: Spend the week following clues and learning the skills needed to solve mysteries right on campus! Amazing Adventures: Race around the world (campus) and compete in a global scavenger hunt filled with different challenges and adventures! Campers will create a passport and “travel” to a new country each day, tackling both physical and mental challenges as they learn about different cultures, foods, dances, arts, and languages. Watch out for detours and roadblocks!